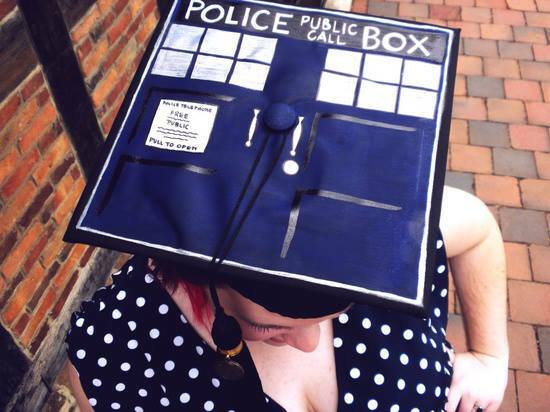 Since it is graduation season, I thought it was fitting to post this awesome TARDIS graduation cap I saw on Facebook yesterday. I’m not sure who Whovian is that decided to turn her graduation cap into the TARDIS but I think it looks great! If anybody knows who she is, please let us know in the comments so we can give her credit and congratulate her on her accomplishment! 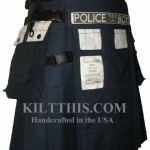 If I ever do the graduation thing again, I might have to do this with my graduation cap just so everybody knows how much I love Doctor Who because while that is normally obvious with all of the shirts I wear, my shirt would be covered up by the gown.